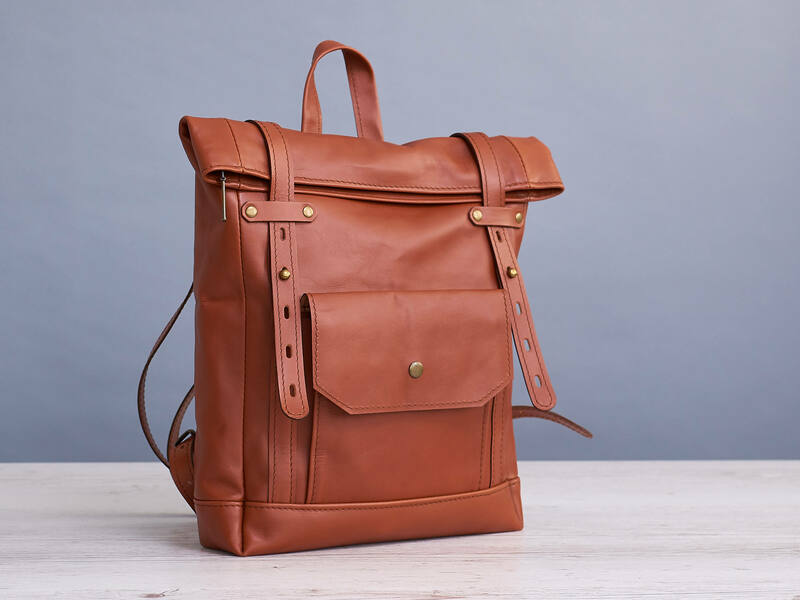 Small leather backpack for Womens. 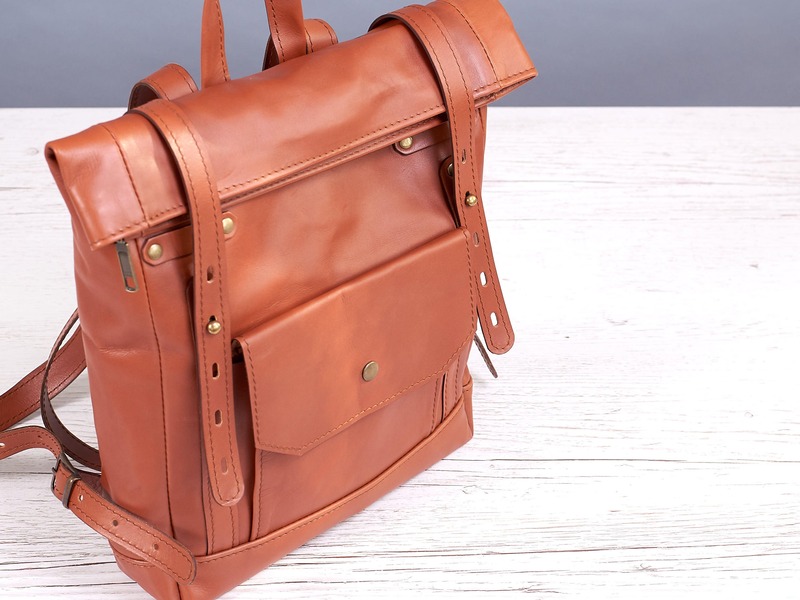 It’s our new mini version of a classic roll top backpack. 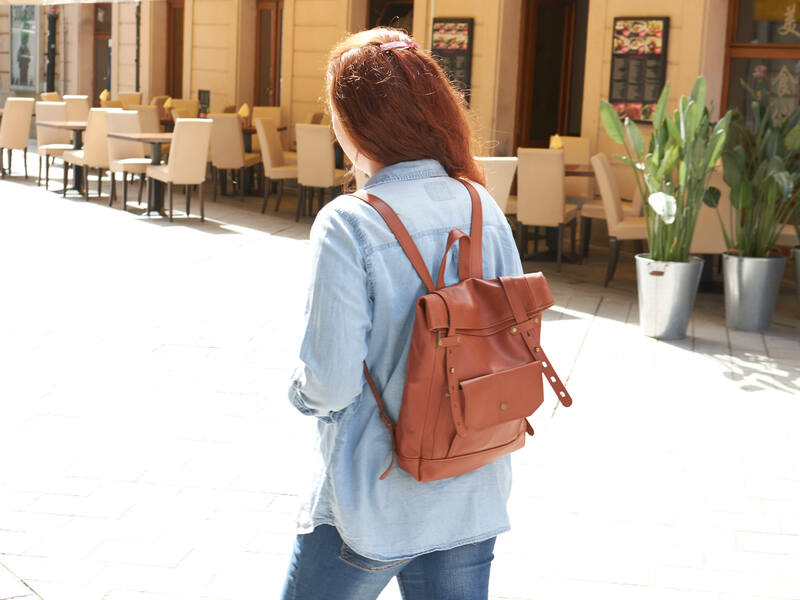 We made it of a light soft leather and the weight of this backpack is only 0.5 kg. 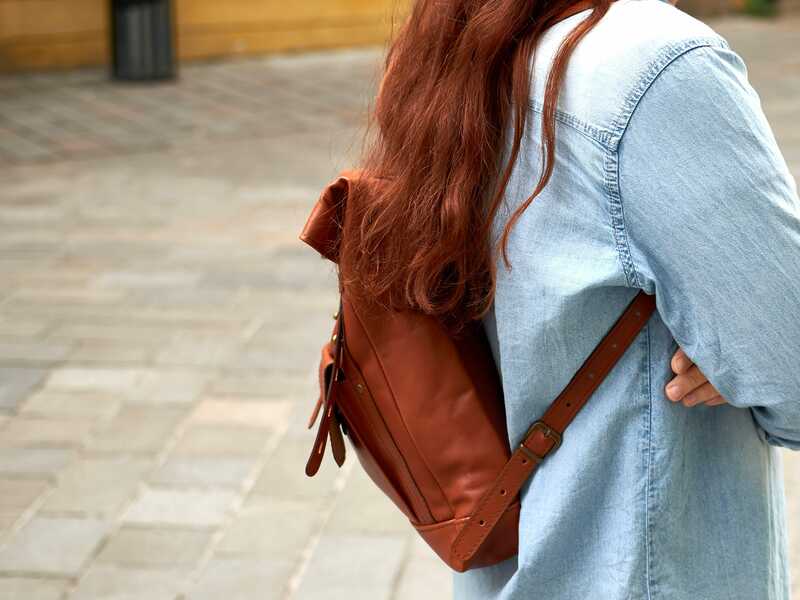 This small female backpack is designed for walking and daily use. 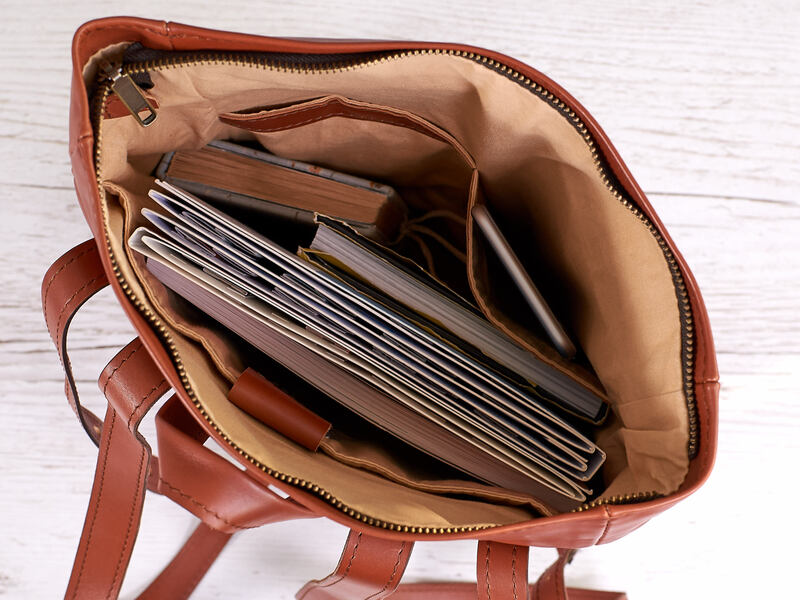 Despite of the size, this bag accommodates a laptop 11", an umbrella, cosmetic bag and a purse. 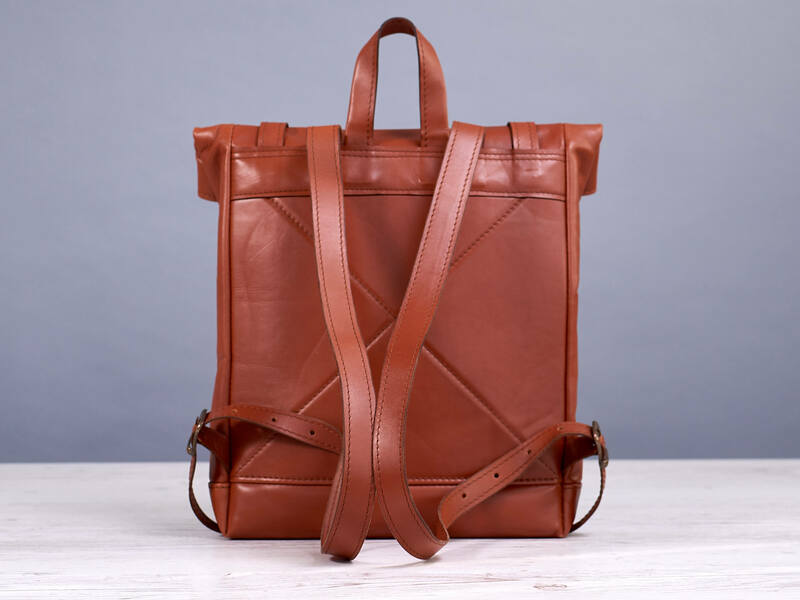 The backpack reliably closes with a zipper and two straps with the head ball buttons. 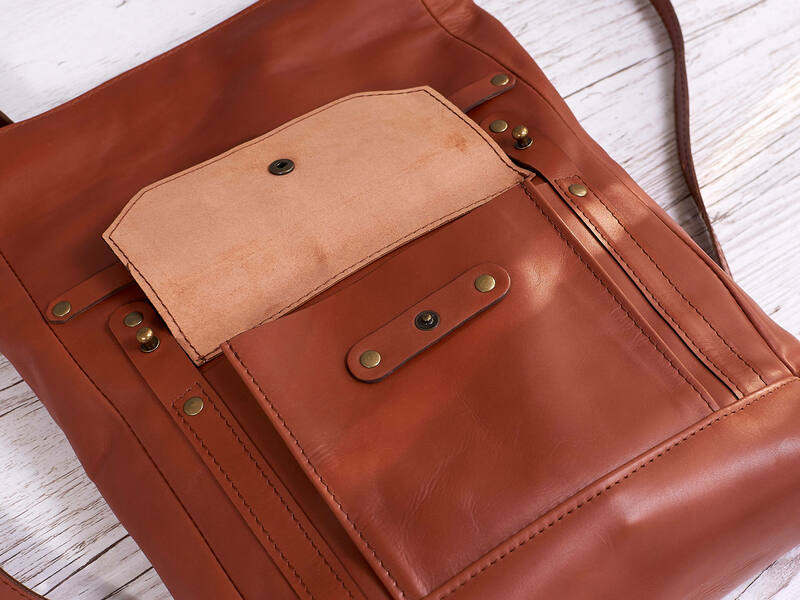 All the straps consist of two layers of the leather, glued, stitched, and painted on the edges. 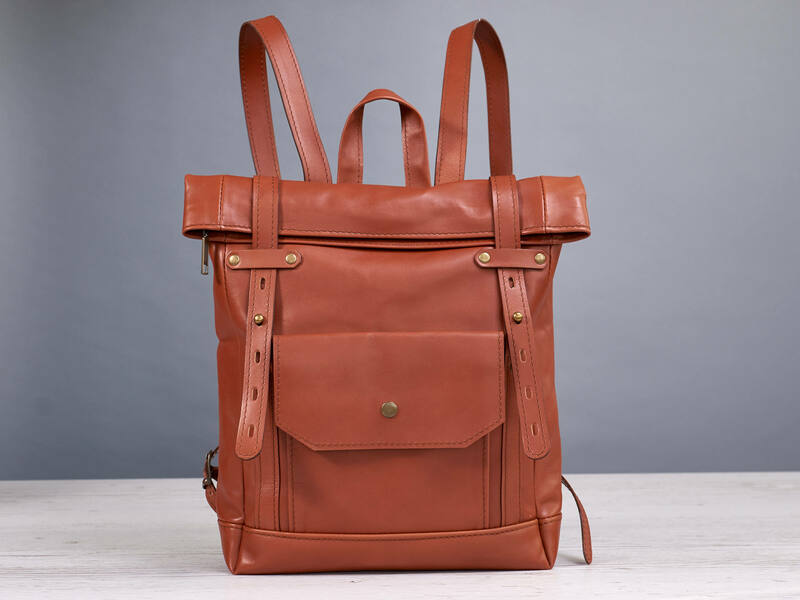 There is a pocket for a quick access to different small things on the front side of the backpack. 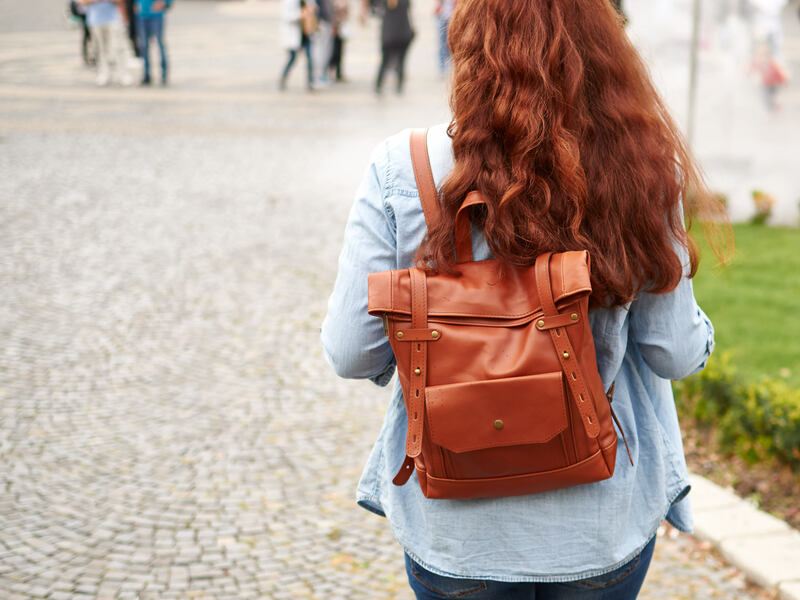 The back of this backpack is padded.